fast forward to yesterday, lucy turned six months old! 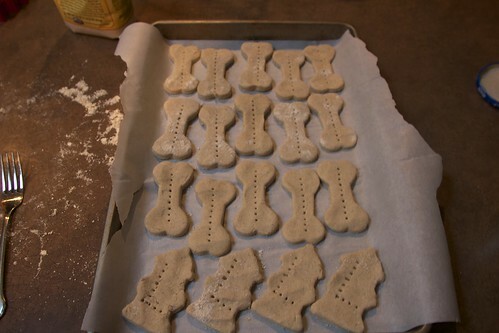 it was better occasion as any to make her treats. i found a very simple recipe on pinterest and was eager to try. i also saw this pin, which brought my overly hormonal self to tears. could the dog have looked anymore like my lucy goosey? 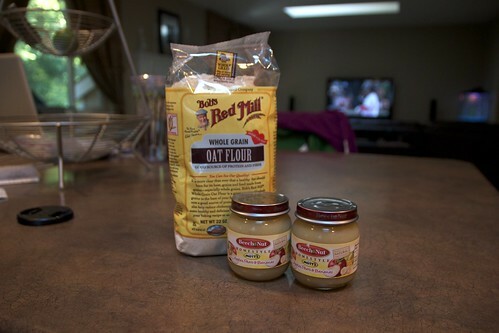 mix together flour and baby food using a fork to form a stiff dough. 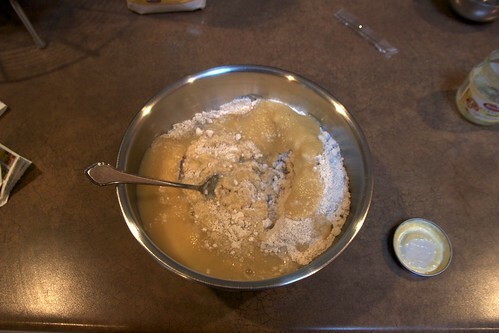 add water or flour, as needed, to change consistency of the dough. 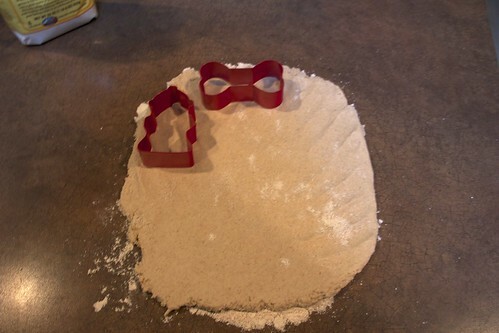 on a lightly floured surface, press out dough to be 1/4″ thick. 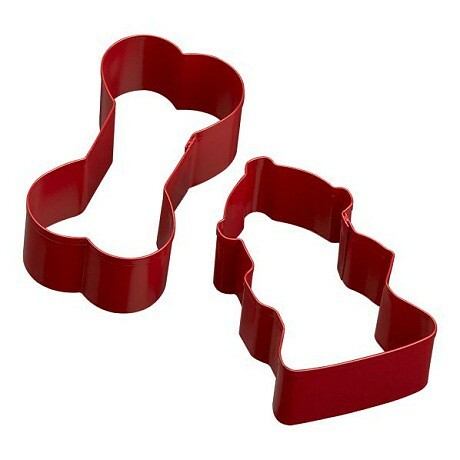 use cookie cutters to cut out shapes, or cut using a pizza cutter into 1″ squares. 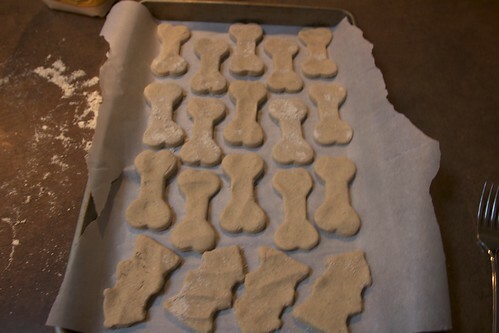 line cookie sheet with parchment paper, place treats 1/2″ apart. bake for 20-25 mins. 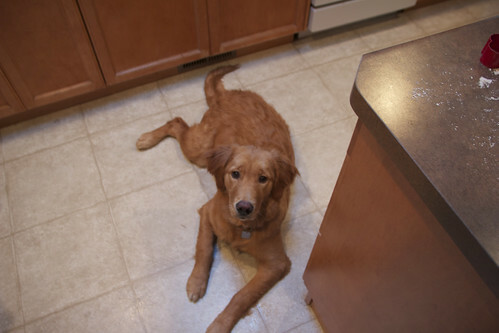 your dog will camp out in front of the oven waiting. ahhhh, peace and quiet. allow to cool completely and store in a paper bag. 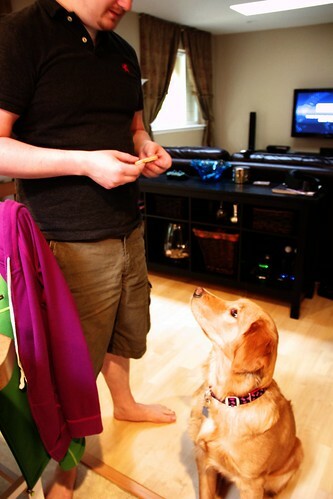 give treat to your pup, and then prepare to be followed around the house for the next half hour. enjoy and happy 1/2 birthday, lucy! Lucky Lucy to have such awesome birthday treats made for her! She was quite cooperative for the photos too! Happy Half Year Old Birthday, Lucy!! She really does like having her picture taken!